The Most Rev. 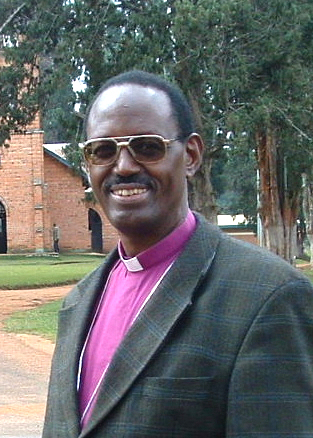 Bernard Ntahoturi, Archbishop of Burundi and Bishop of Matana. Born in 1948, Archbishop Ntahoturi trained for the ministry Mukono Theological College in Uganda from 1968-1972, and was ordained deacon in 1972 and priest in 1973 for the diocese of Buye. He entered entered St John’s College, Cambridge and earned a diploma in theology from Ridley Hall and undertook further graduate work in diplomacy at Lincoln College, Oxford receiving his Master of Arts degree in 1982. From 1979 to 1986 Archbishop Ntahoturi served in the Burundian government rising to chef de cabinet (chief of staff) to president Jean-Baptiste Bagaza. Following the military coup of 1986 he was held as a political prisoner until his release in 1991. Consecrated Bishop of Matana in 1997, he was elected the third archbishop of the Eglise Anglicane du Burundi in 2005 and appointed to a second five year term in 2010. Archbishop Ntahoturi is a member of the Central Committee of the World Council of Churches and chairman of the Inter-Anglican Standing Commission for Unity, Faith, and Order. He was elected Chairman of the Council of the Anglican Provinces in Africa (CAPA) on 7 February 2012. He is a member of the Global South primates group.